Harris J is a young British Muslim artist whose debut album, Salam, was released in 2015 by Awakening Records. Born in Chelsea in the heart of London, Harris J is a graduate of the world-renowned BRIT School of Performing Arts and Technology in London. He considers himself a proud Muslim and a true Brit and is now looking forward to taking his new blend of faith-inspired music to the world. Find him online at Awakening.org/HarrisJ, on Twitter and Facebook at @HarrisJOfficial, and on Instagram at @OfficialHarrisJ. Ward Jenkins is and illustrator and animator from Atlanta, Georgia. He’s illustrated several picture books, including Chicks Run Wild, as well as the Good Crooks chapter book series. Ward lives with his wife and two kids and hasn’t shaved his beard since 2010. Find him online at @WardOMatic. "The story provides a positive depiction of Muslim ideals with which readers of all faiths can identify....Illustrations depicting diverse individuals and a community-centered message make this a timely purchase for libraries." "The rewards of paying it forward are at the heart of this picture book adaptation of Muslim pop musician Harris J’s 2015 song of the same title...Jenkins (Chicks Run Wild) provides a down-to-earth visual interpretation of the song’s lyrics in cheery digital illustrations....there’s no questioning the sincerity of the message about kindness and coming together." 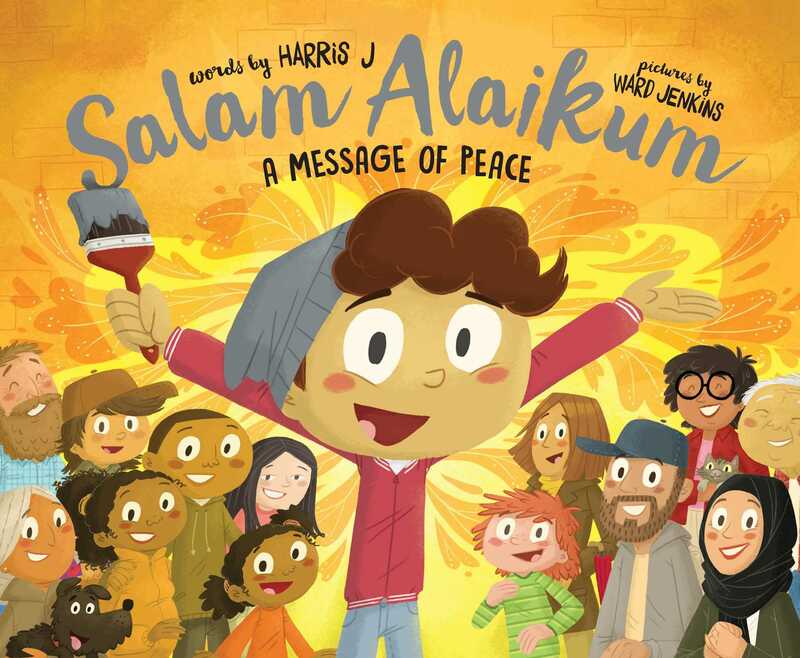 "Muslims often explain that their greeting of "Assalaam alaikum" means "peace," but rarely is the idea conveyed so clearly as it is through words and pictures in this new picture book. Harris J's catchy lyrics...are a breath of fresh air sure to bring a smile to readers young and old....Fans of Harris J will be thrilled and will likely sing the verses happily as they read. Readers new to Harris J will come away with a lasting impression of this young Muslim's commitment to spreading world peace and love. A perfect choice to spread hope and fight stereotypes at the same time."